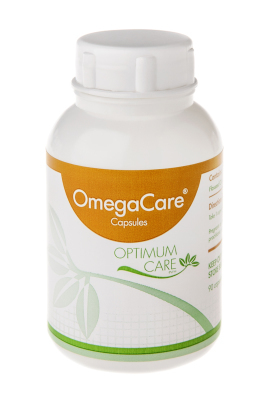 OmegaCare is a flaxseed based omega 3 oil supplement to supply the essential fatty acids needs of the body for brain, nervous system, cellular, glandular, hormonal, skin, and digestive health. Omega 3 oil is an essential fatty acid, meaning that it is a vital nutrient for daily functioning of the body and that needs to form part of the diet as it can not be made by the body itself. 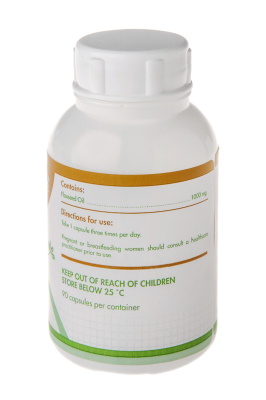 It is one of the most vital fatty acid raw materials of the cellular membranes and neural sheaths of the body, it acts as a building block of the glandular and hormonal system, it increases HDL ("good") cholesterol and decreases LDL ("bad") cholesterol, it works to lubricate and sooth inflammation in the bowels. skin, eyes and joints. Over and above being a vital building block for a multitude of body systems and functions, omega 3 oils have vast anti-inflammatory effects on the body. Inflammation is a natural daily process in the body, when well regulated it works to protect and clean out the body, disregulated inflammation is however, at the core of all disease processes. Optimal omega 3 oil intake can sooth and rebalance the inflammatory processes in the body.